Hopi Native American people and their tradition of the Kachina dolls; then make your own Kachina dolls together. 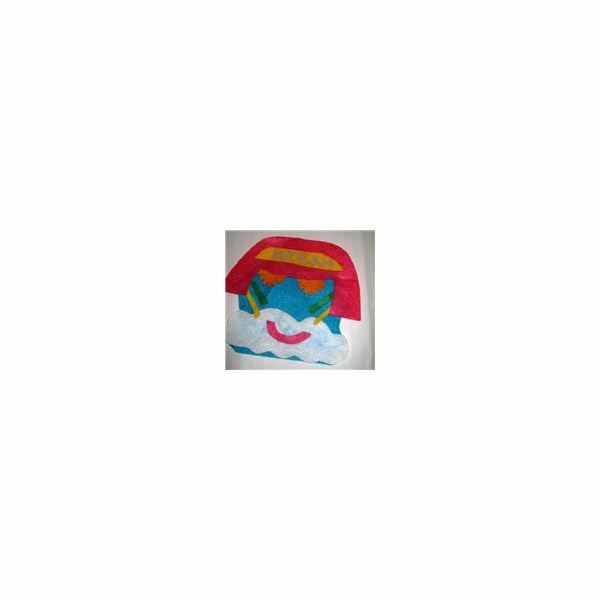 This craft project is suitable for elementary-aged children and even younger children with adult supervision and assistance. My own children are 8, 6 and 2 and I have made this craft with them; throughout the tutorial you will find notes explaining what each of them was able to do independently. When you make a Kachina doll with your child, think of it as a work of art or a sculpture rather than a toy. The Hopi people believe that the Kachina dolls they own can help them with their lives, bringing them wisdom and even bestowing blessings on individuals, families and tribes. Old Man Kachina – he passes wisdom onto those who will listen. He advises people to right the wrongs they have done and to live their lives in positive ways. Ogre Woman Kachina – she teaches discipline to Hopi children. 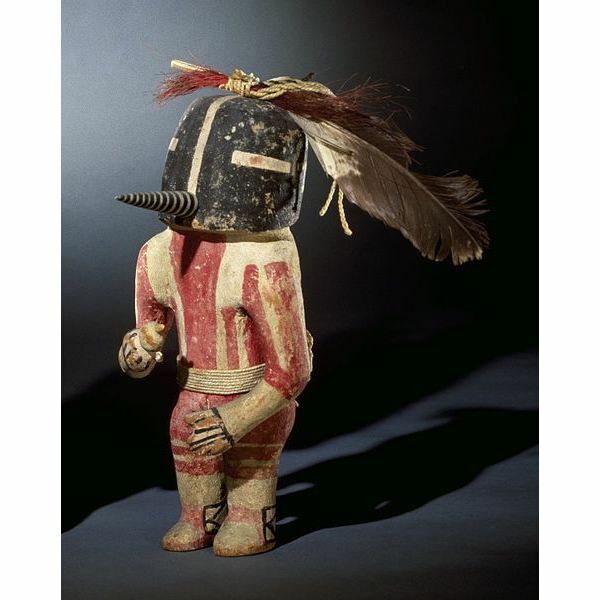 White Bear Kachina – he is a warrior who can heal illnesses. Antelope Kachina – he brings the rain and allows the grasses and plants to grow. Koshari Kachina – he is a clown, or fool. He represents the dangers of overdoing things including being gluttonous. Cheveyo – this is sort of the Hopi “bogeyman.” He appears whenever children misbehave and the children believe that he will harm or steal them away if they do not correct their behavior. Use these examples to guide you in your crafting. 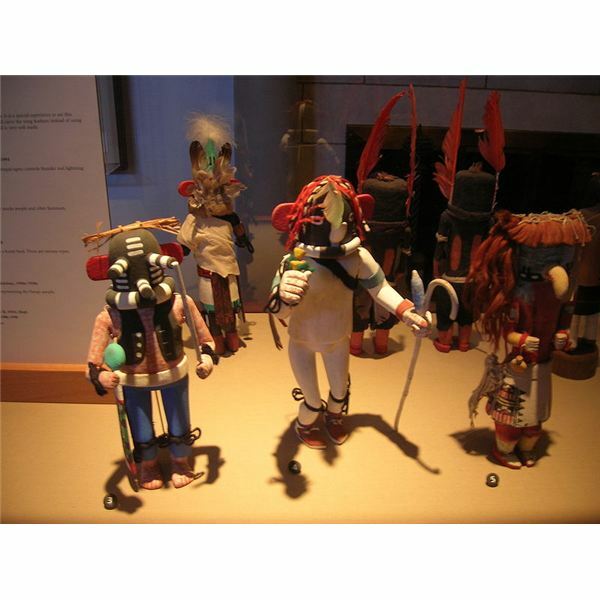 Your children may wish to make their own versions of these traditional Kachina dolls or invent variations of their own. As I began to make this craft with my own children, I decided it might be fun to use the spirit of the Kachina history and apply it in my own family. So instead of making traditional Kachina dolls, I taught my children about what the Kachina dolls meant to the Hopi people and had them come up with their own spiritual visitors instead. You and your children can do this craft project as I did or use it as a tutorial while making the traditional Kachina dolls from the Hopi faith; the process is the same either way. The basic idea for this craft was to have my children make small stuffed figures out of felt that they could hang on the walls of their bedrooms to remind them of whatever their Kachina represents to them. I decided this type of representation would still be three-dimensional like a real Kachina but would be more age-appropriate than carving cottonwood. As an alternative to this, you could let a younger child decorate a cardboard tube to look like a Kachina, adding felt clothing and glueing on feathers and sequins or buttons for the features. First, I had my children come up with an idea for a Kachina and the purpose that Kachina would serve. They could choose someone who would guard them from nightmares, for instance, someone to represent their favorite items from nature or someone to remind them of the way they should behave. Then they sketched a basic drawing of their image of this figure on paper. Tip: Since we are going to cut out, sew and stuff these figures, large lines and areas are better than skinny ones. I had my children focus more on a face or a large body shape to use for their stuffed creations since that would be easier to stuff and sew than a thin body shape. We cut around the outline of the shapes using scissors; again I helped the younger ones but my eldest was able to do this independently. Afterward I let the kids use markers and other felt pieces and glue to decorate the faces on their Kachinas, then we let them dry. I used my sewing machine to sew around the edges of the Kachina figures, leaving an opening at the top. (Tip: Older children could sew the dolls by hand using embroidery thread and needles.) The kids stuffed them full of polyester fiberfill and then we added a ribbon loop to the very top and sewed the opening shut. Then they could hang their Kachinas in their rooms to remind them of the spiritual idea represented by the craft. In the images above, you can see the sketch my daughter made; she wanted a Kachina that would give her nice dreams, so she drew a happy, sleeping face and a cloud floating underneath it. 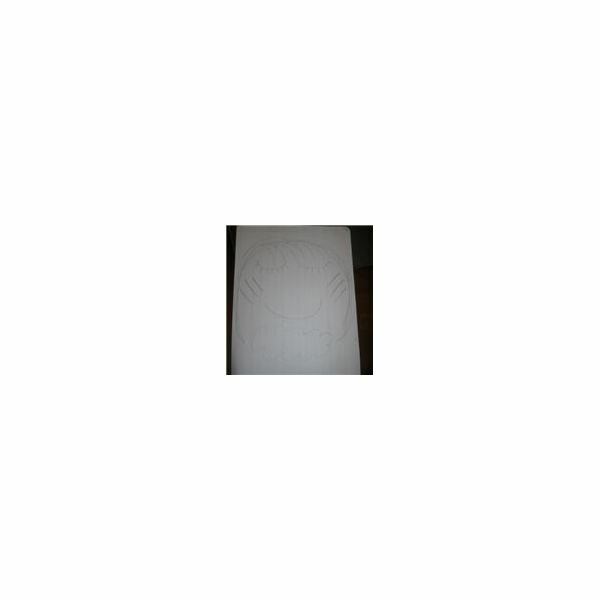 The image beneath that is how we represented her idea in felt for the finished Kachina image. For more information, read about the ceremonies of the Hopi people. Native American Life Living Art.